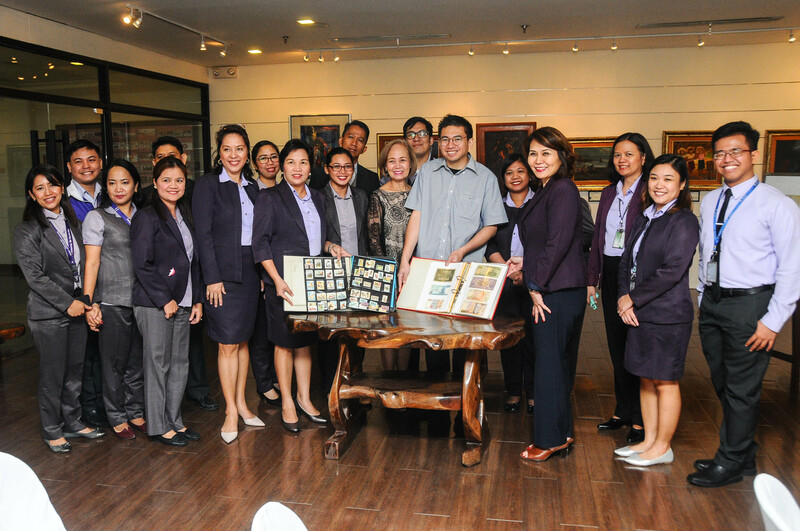 SISC alumnus, Jose Enrico Quinsaat, visited Southville last January 7 with a long-held collection of stamps and paper bills donated to the school’s museum. Joined by his mother, Mrs. Zeny Quinsaat, he officially turned over his collection to support the school’s mission of providing a venue to conserve artistic and historical pieces in the southern part of Metro Manila. Each of those collected stamps and paper bills tells a story as he explored different museums in foreign lands. He was impressed by the presentation in each gallery commending it as an efficient way to allow patrons to have a full grasp of global treasures. He was very happy to see how his alma mater highly values the importance of preserving collections and makes them accessible for the next generation to discover and appreciate. His mother’s love for culture and the arts greatly influenced Quinsaat when he was young. 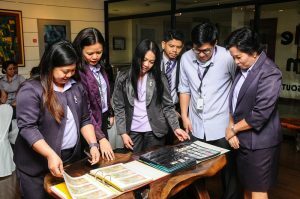 It was also his mother who encouraged him to take on the opportunity to entrust his precious collection to Southville in hopes that it would add up to its students’ knowledge. He shared that schools should encourage students to remember and honor the stories of the past and be inspired by its teachings as they move forward to the future. Southville’s curriculum in Social Living and Global Education, and Arts and Humanities provide students a comprehensive foundation on this field. The Southville Museum is open to guests who would like to visit its different galleries – ① Magnum Opus, ② Prominent Leaders and Interesting Personalities, ③ Around the World, ④ Legacies from The Past, ⑤ Southville Through The Years, and ⑥ Young Southville Artists. The collection of Mr. Quinsaat can be found in Gallery 3 joining other historical mementos from around the world. The school welcomes future donations to enhance its collections.